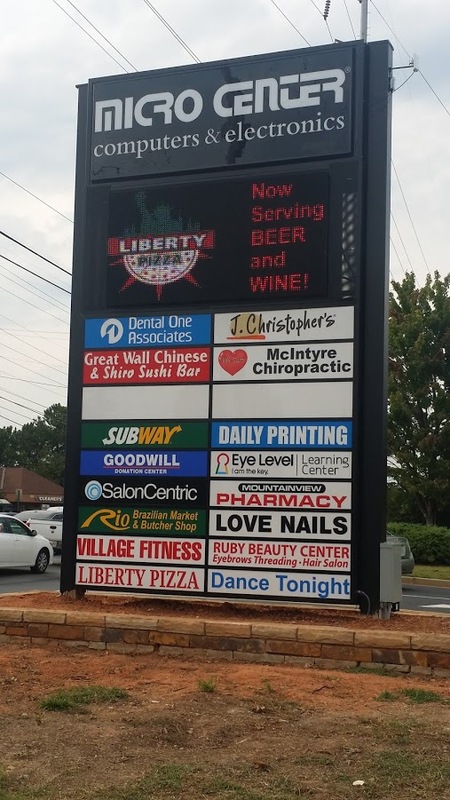 Big Mouth Signs, owned by Mark Kasson in Lilburn, GA, recently completed a large monument sign redesign project for a shopping center. This project came to Mark through a representative from Vantage LED, who was originally contacted by the client. The client had gone through three sign companies trying to get the job in motion, and had contacted Vantage about an LED display. The project consisted of removing the existing sign header panel and existing sign cabinets, designing and building new sign cabinets, incorporating a new LED display into the configuration, designing and building all the business’ panels, installation of the whole monument sign, and finally, completing all the communication setup and training for the LED display. 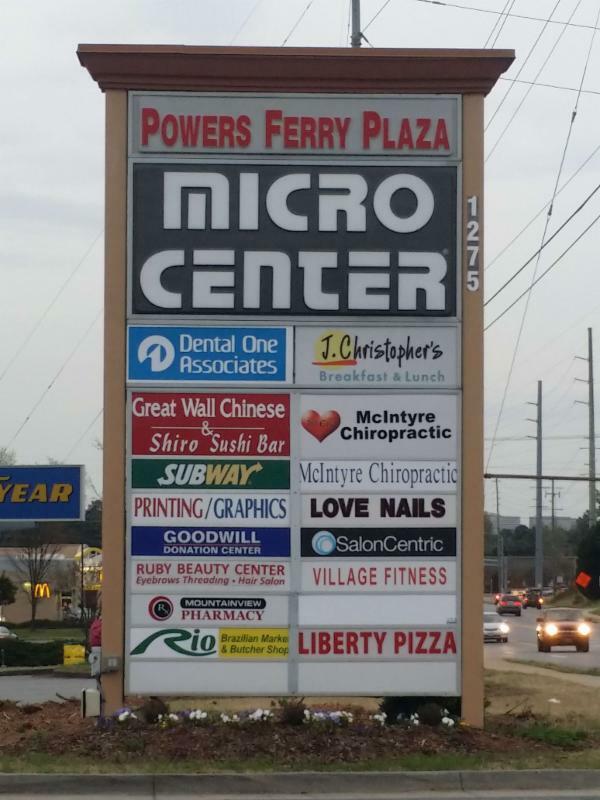 The only part of this sign that was outsourced was the light cabinets, which were fabricated and installed by a local company. In total, this project took only two months to complete and brought in a revenue of $46,353. Shortly after, Big Mouth Signs was also asked to refurbish the secondary entrance monument sign, which will bring in another $14,000.